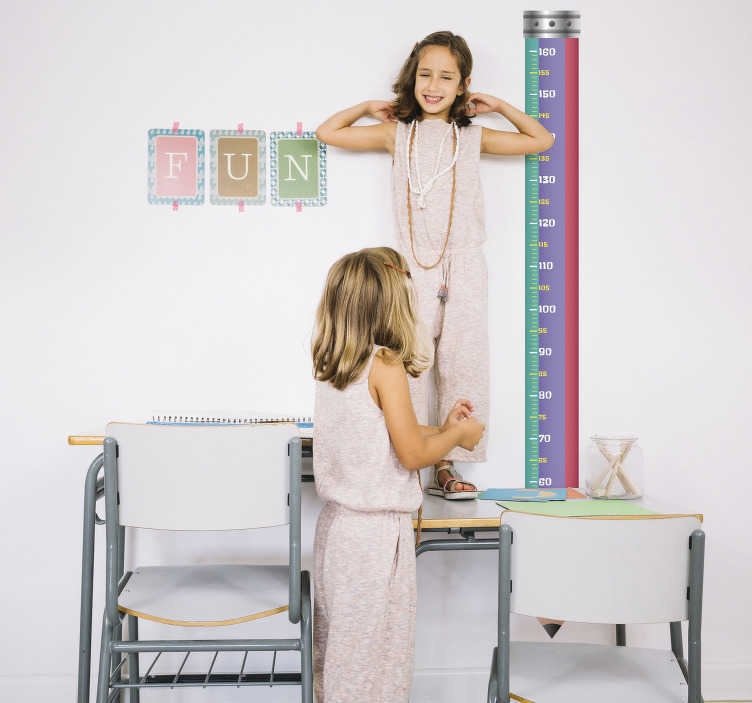 Children´s measurement wall sticker that includes a pencil design and measures in centimetres. It is a fun sticker for children as it keeps track of their growth. It is great to have as a children´s bedroom sticker or can also be used as a wall sticker for schools to measure the height of young pupils. The height chart sticker is a fun and colourful design.